We MELBOURNE MOVER is one of the fast growing and the most experienced furniture removalist in Melbourne.Being in the no 1 Removalists Melbourne position was our key to success.Servicing our Melbourne Community for more than 10 years we are treated as the Cheap furniture movers in Melbourne for more than decades.Our specialized services including House moving,Furniture moving,Office moving ,Piano Moving and many more are treated as the budget moving solutions in Melbourne.Among the Removal companies in Melbourne,we have successfully completed our industrial journey by completeing more than 10,000 House relocations through out the year and yes that has given us the gear to stand as the Most experienced and the affordable removalist position among our customers.Therefore we appreciate our customers satisfaction in all types of moving schemes and we are bound to stabilize our industrial recognition as the cheap furniture removalist in Melbourne. House moving in Melbourne is one of the demanding industry among our competitors ,so we are always providing a quality and budget moving services to proof our affordable industrial identification.Every type of relocation services in Melbourne are what we expecting to complete to achieve our goals in the field,hence we provide unbeatable cheapest removal pricing but with an exceptional service to let our customers feel the difference in our relocation services in Melbourne. Being the Melbournes’ cheapest removalist we are liable to create the platform of all our moving services to be the cheapest ,affordable and the most professional way.You are always get the cheapest moving prices with us and your most valuable and loved belongings will be handled by our professional removalist crew with extra care and respect.Budget removal services offering by our Melbourne mover team is not just a word,its our promise to stay on that line of Melbourne cheap house removalist or Melbourne cheap house movers.You will not be disappointed with our exceptional customer service from the beginning of your house moving or any other moving service and we value your thought of trusting us in the business..
Free quotes and inspections are available! Melbourne Mover is a market leader when it’s come to moving all your furniture and items from one location to another. Our team has always managed to give good pleasant experience to our clients with their moving over the years. Also we offer cheap prices, high quality and effective stress-free service throughout Melbourne. No job is big or small as professionals we have the practical solutions to each of your moving needs so contact our friendly staff to take the stress off your shoulders about moving and deliver the perfection service for you. Always remember we are the best cheap removalists Melbourne team that you can find. We Melbourne Mover will take a look at everything when it comes to moving to create a plan for the move as we want to make it smooth as possible for our client. In this process we will check such as the size of your property, the furniture and stuff you need us to move and more importantly your budget. From these, we are able to plan the job and our team of removalists can deliver the job in a cost effective safe manner. 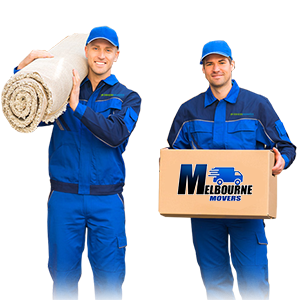 Also our removalists Melbourne team will be ready with necessary equipment and techniques to handle your job, making sure that your move will happen as expected. 4.Public liability transit insurance and workers compensation are included. 5.Unique customer oriented quotations to suit every budget. 7. Large fleet of trucks ranging from 3 T -12 T .Pick the right size of vehicle.